Potatoes are loved by everyone for their taste and great versatility. No wonder they have an entire month dedicated to them. 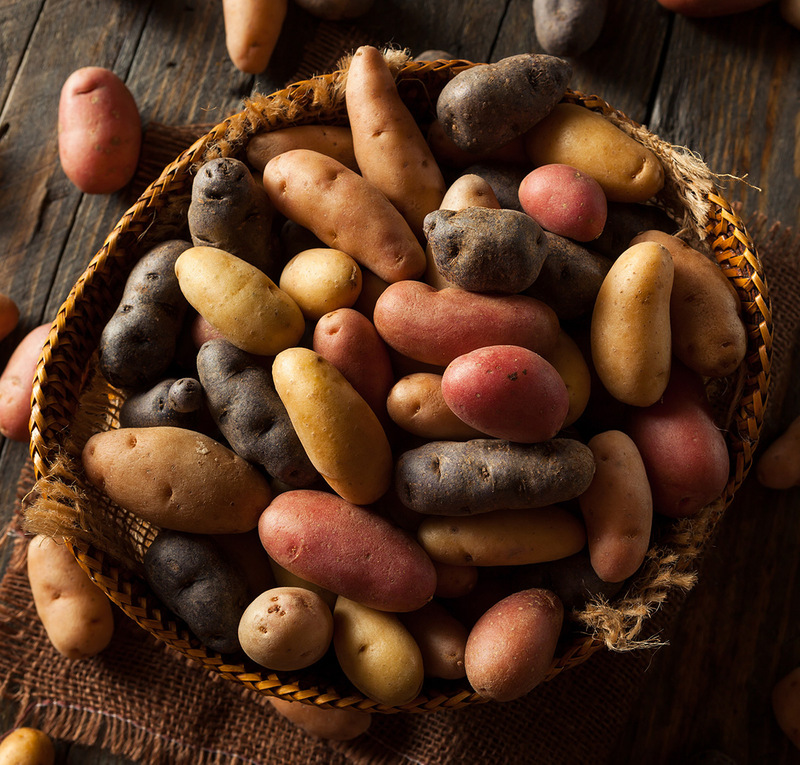 There are close to 4,000 varieties of potatoes that exist around the world and the common types are russet, red, yellow, purple; and now fingerlings have joined the most popular list. Fingerling potatoes are small, stubby and finger-shaped. The skin is very delicate and doesn’t need to be peeled before cooking. Their flavor is closer to regular, mature potatoes and they have a firm texture that holds up well to cooking. Popular fingerling potatoes include the yellow-skinned Russian Banana, the pink-skinned, yellow fleshed French Fingerling, the Purple Peruvian, and the Swedish Peanut Fingerling. Due to their size and unique shape, fingerlings are commonly either halved and roasted as a side dish or used in salads. Try the recipe for Garlic and Parmesan Fingerling Potatoes. We think you’ll agree fingerlings will make your sensational meal sensationally fresh.